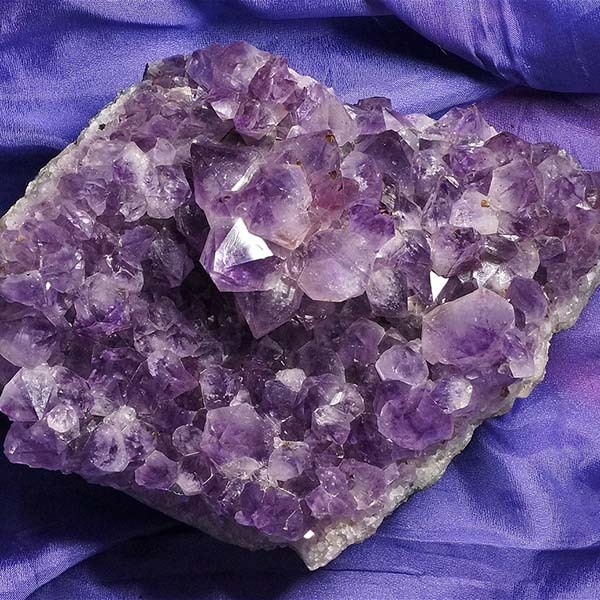 Amethyst manifests spiritual awareness in daily life and spirituality as a way of living. 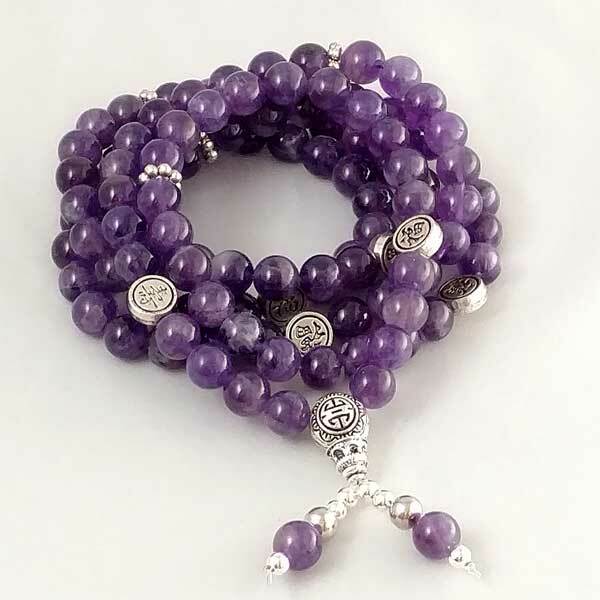 It aids in our understanding the wheel of life, death and rebirth of self as part of the universe and universal whole. 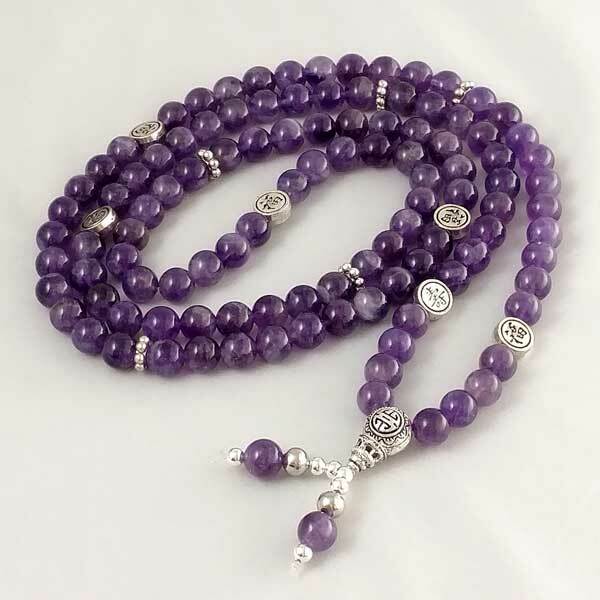 This one is perfect for daily spiritual meditations. 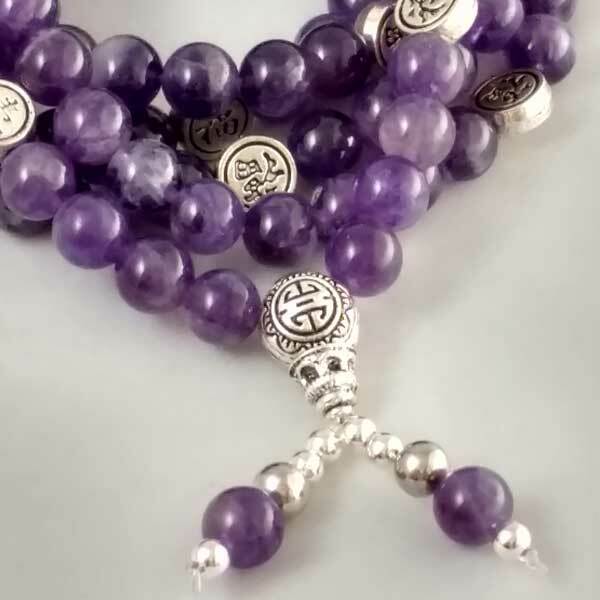 The 108 Amethyst beads in this one are 8mm in size, accent beads are fine pewter (no nickel or lead) and are the Tibetan symbols for peace and happiness. 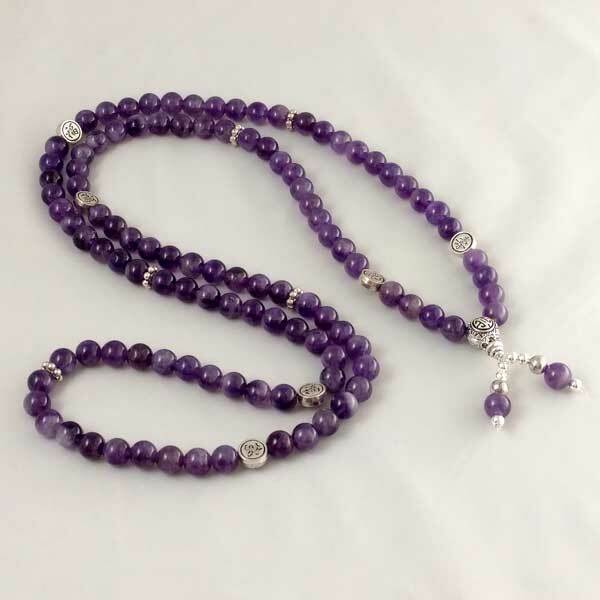 The overall strung length is 37 inches with an added 1 inch for the center embelishments.